So far it has been a spectacularly delightful month. Mexican elections have come and gone with only a minimum of disruption and the new president, a former mayor of Mexico City, was elected with what appears to have been a commanding majority. True, he has been rumored to be a populist, nationalist, with some autocratic tendencies, but then maybe he will actually be able to reform things without emulating the world’s prominent role models in that vein. His party, Morena, now dominates the Oaxaca legislature, too, and is not likely to support the current governor, who is PRI, meaning . . . ? OK, enough politics. 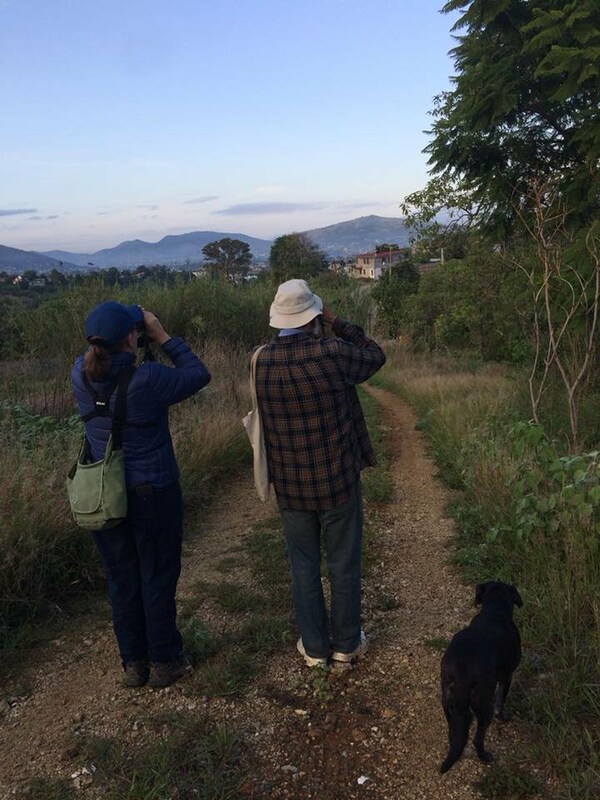 The highlight of this month so far was the two-week visit to Oaxaca by Deborah and her partner Les, whom I finally got to meet in person. While in many ways they appear to be as alike as one pea in a pod and the cauliflower in the next row, in many much more important other ways they are truly compatible denizens of the garden. I now understand the reason for the lilt in Deborah’s voice and the smile on her face. Les put one on my face too. 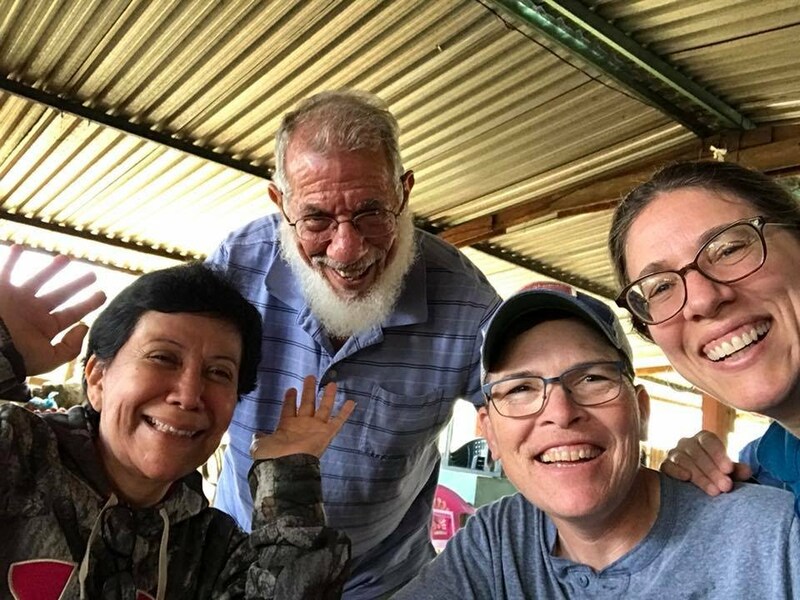 They stayed in the casita here for most of the visit, escaping for a day on their own at Monte Albán and one night in a city hotel that enabled them browse the street and appreciate Oaxaca’s 24-hour perennial atmosphere of circus. The rest of the time? 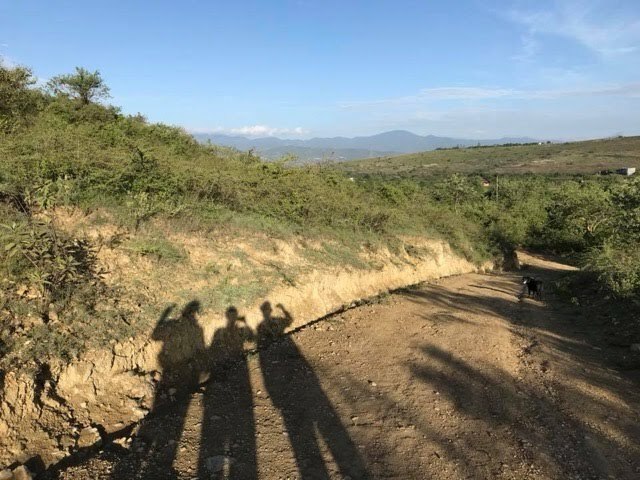 other places in the valley, including the unexcavated city site of Reyes Etla and the ridge that juts southeast from Monte Albán and offers breathtaking views of the city of Oaxaca and the three Central Valleys. 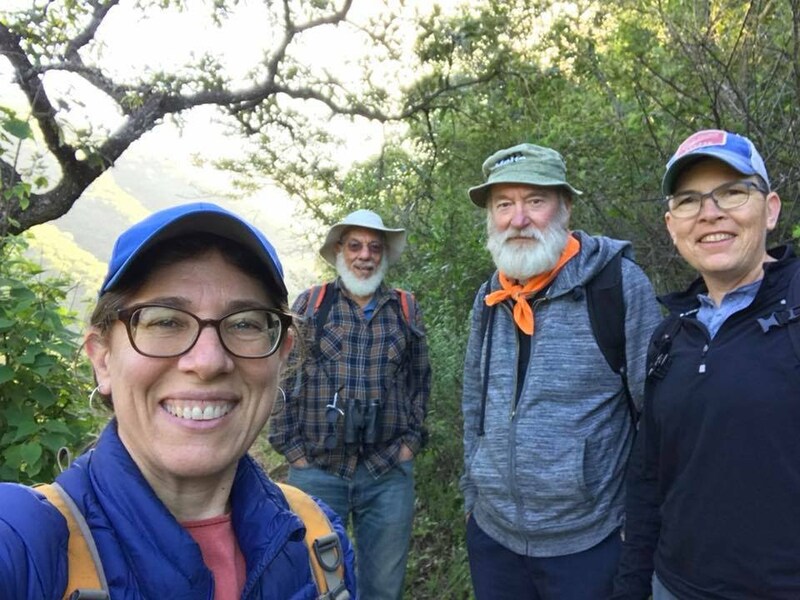 One morning we hiked with my friend Bob Lundberg and Qalba’s friend Spot high up into the mountains that rise up just behind Santa Cruz Etla. Wednesday we lunched with friends downtown, and then caught the danzón in the Zócalo. Deborah and Les danced, Debora and miscellaneous courtly gentlemen danced, and Deborah even got me to do a turn with her on the dance floor, even though we weren’t dressed for gala, and I was younger by a decade or two than many of the other folks dancing. Game days we watched the World-Cup elimination games at our house and the houses of friends. And of course, breakfasts at the Mercadito. And a tour of Tony Raab’s Mescal manufacturing operation over at the Casa Raab. 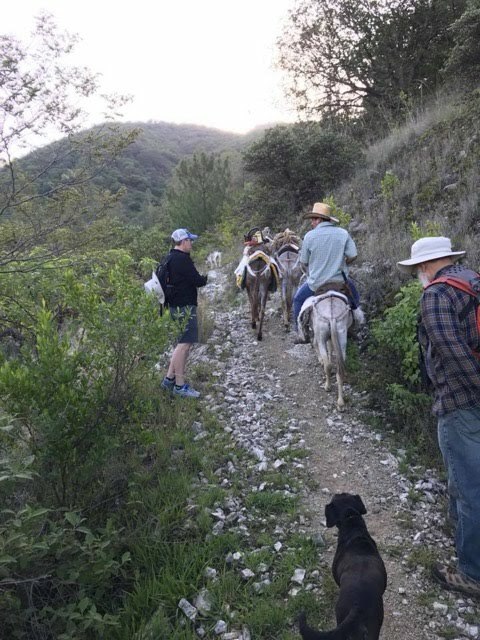 We devoted another day to an excursion to San Martín Tilcajete, a town devoted to the carving and painting of alebrijes, and to San Bartolomé Coyotepec, home of intricate black pottery, two of the many folk crafts that make Oaxaca one of the artesanía centers of Mexico. Sunday we drove out to the Tlacolula market, where half of the vendors speak Zapotec and dress accordingly, and the sensory overload is flat out overwhelming. On the way home, what was to be a brief visit to Teotitlán del Valle for lunch and to look at their textile shops and remarkable church turned out to coincide with the first act of the Guelaguetza month of regional dance performances, always performed in local ceremonial costume, the reputedly most spectacular of which are the “feather dancers” of Teotitlán. And one last stop –now nearly three hours later than planned—a stop in Tule to see the world’s largest tree (by bulk and weight, anyway), a 2,000+ year-old ahuehuete. Right around the corner is a second specimen, only 1,000+ years old, that while it would be pictured on a postagestamp on any other country in the world, here in this context don’t get no respect no-how. We said hello to it anyway, just so it wouldn’t mope.